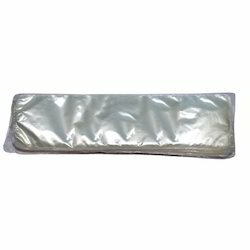 Our range of products include intra oral sleeves ( round type ), dental x ray sensor rvg sleeves disposable and dental rvg disposable sleeves. We are a client centric organization and are engaged in importing and supplying a quality assured the range of Round Type Intra Oral Sleeves. 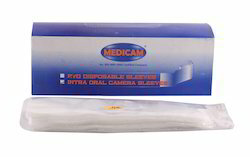 These are sourced from some of the reliable manufacturers based across the country and are widely used in Intra Oral Cameras. hese are state of art crafted Dental X Ray sensorRVG Sleeves[ Dental Xray Sensor] sleeves fits on almost all sensors.We use high quality food grade plastic for these sleeves.Our RVG sleeves are made from soft material and its corners are round .Due to this round corner sealing patient does not have trauma at all in the mouth as it is soft and round cut. 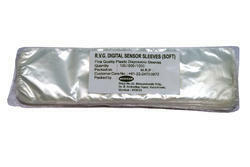 These are state of art crafted RVG Sleeves[ Dental Xray Sensor] sleeves fits on almost all sensors.We use high quality food grade plastic for these sleeves.Our RVG sleeves are made from soft material and its corners are round. Due to this round corner sealing patient does not have trauma at all in the mouth as it is soft and round cut.